More series copies shifted than Tetris? 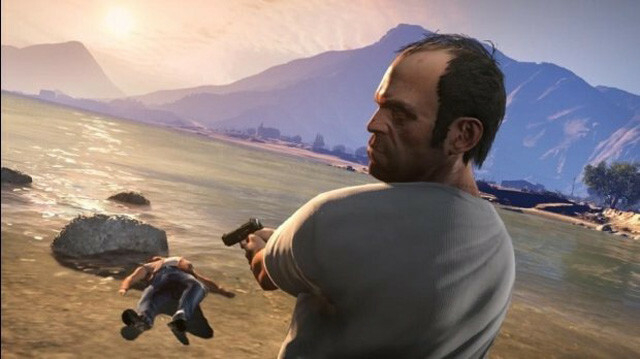 Some 125 million copies of Grand Theft Auto games have shipped since the series' introduction, publisher Take-Two Interactive has claimed. While it would be easy to celebrate that such figures means GTA easily challenges Tetris for fifth place in the world best-selling franchise table - behind Mario, Pokemon, Wii Sports/Play/Fit and The Sims - Take-Two CEO Strauss Zelnick instead took a pop at those titles creeping up the list behind it, in particular series with annual releases such as Call of Duty. Zelnek, speaking at the Credit Suisse 2012 Technology Conference in Scottsdale, Arizona, indicated he believed that there has been a large year-on-year drop in sales for Activision's most-recent CoD entry, Black Ops 2 this month, but that has never been the case with GTA, which apparently does better every time. Activision, however, said Black Ops 2 managed to generate half a billion dollars in sales in its first day of sales, well ahead of the $360m the publisher made through day-one sales of the original Black Ops in 2011. "Our view is it's hard to make permanent intellectual properties if you annualise it," he said, though he makes an exception for sports titles. "So far that's proven to be the case. IP that is annualised eventually seems to hit the wall and we don't want our IP to hit the wall." GTA's fanbase on the other hand will have been patiently waiting five years for their next dose of action, giving Rockstar plenty of time to develop an expanded experience the hype generally lives up to.